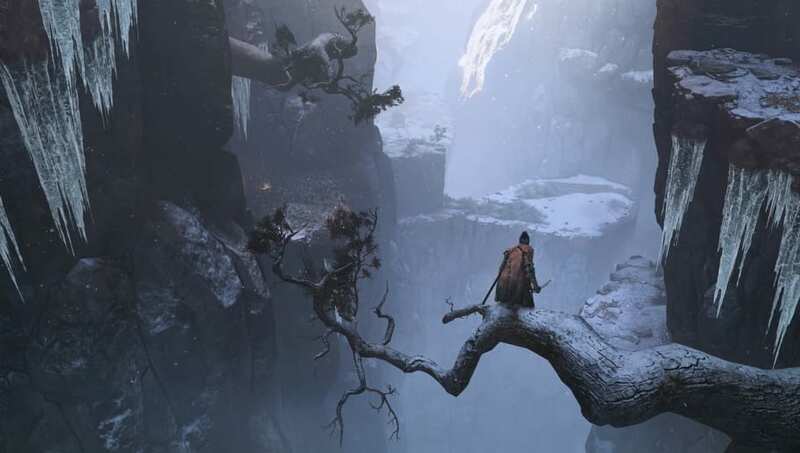 Sekiro Gourd Seed locations are crucial to any player's success. The game's brutal difficulty strongly encourages players to take every advantage they can get, and Gourd Seeds are among the most important advantages. Players can take them back to Emma, and she can use them to upgrade the player's Healing Gourd. This allows players to heal for more without resting. Finding these Gourd Seeds can be tricky. Here are some of the locations players have found so far. After the idol for "Outskirts Wall – Gate Path", you'll meet General Naomori Kawarada. Defeat him to find your first Gourd Seed on his body. In the building right after the Chained Ogre mini-boss, before the General Tenzen Yamauchi mini-boss. After beating Gyoubu Oniwa, cross the fight area and take the stairs up. Walk around to the left and go up some more stairs to find a tent with a merchant inside. You can buy a Gourd Seed from him for 1,000 Sen.
After reaching the first idol, turn right and jump across the roofs, following the smoke signals. They'll bring you to the main tower, with an idol for the "Upper Tower – Antechamber." Inside a treasure chest here you'll find a Gourd Seed. From the first idol, follow the stairs up to the four riflemen. Pass them to the top of the stairs and turn right. Drop down to find an alley with a man sitting in it. Talk to him, then follow his instructions. Return to him and he'll tell you you'll meet again. When you find him at the Dilapidated Temple, he'll sell you a Gourd Seed for 2,000 Sen.
At the first idol, follow the trail occupied by the monks to reach a temple. Grapple to the wooden beams above you and climb through a hole in the ceiling. You'll find a Gourd Seed in the room with the three praying monks. From the first idol, go downhill and grapple to the ledge with the rifleman. Grapple to the tree above him, then to the second branch in front of you, and finally jump to the wall on your left. Climb to the top to find a Gourd Seed under a small roof. Walk from the idol into the village. When you see the big tree with white leaves surrounded by enemies, make your way to the tree to find a Gourd Seed.